THE HEAT IS ON! Freezing is a thing of the past, even on the coldest of days you will feel comfortably warm when wearing the heated FIRE-AIR vest! The specially developed thermal fabric heat cell system is embedded in the back area of the vest. FIRE-AIR is operated by a rechargeable battery, kept in the outside pocket. An additional feature is the battery level indicator, so you always know how much power you have. With 5 heat settings a simple touch of the button on the battery pack regulates the desired temperature, giving 2.5 to 7.5 hours of blissful warmth. 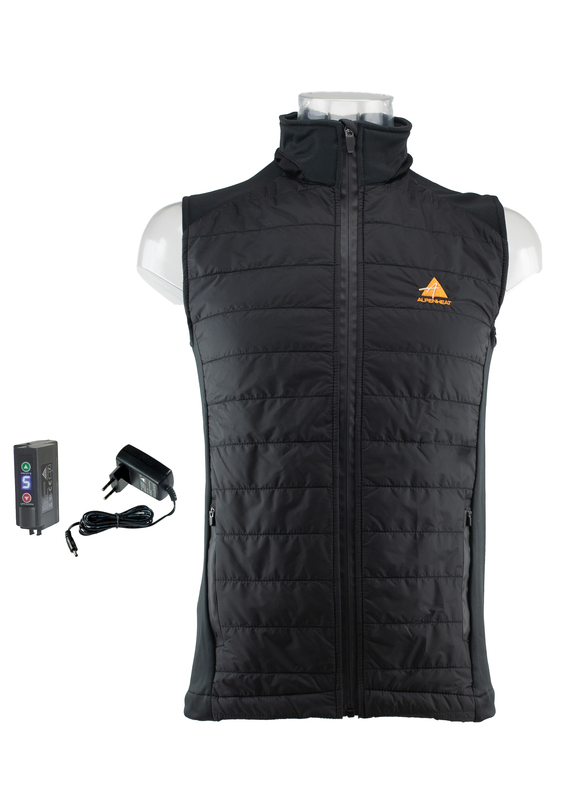 The vest can be worn all year round with or without turning the heating on. Wear either on its own or underneath any coat, jacket or anorak. 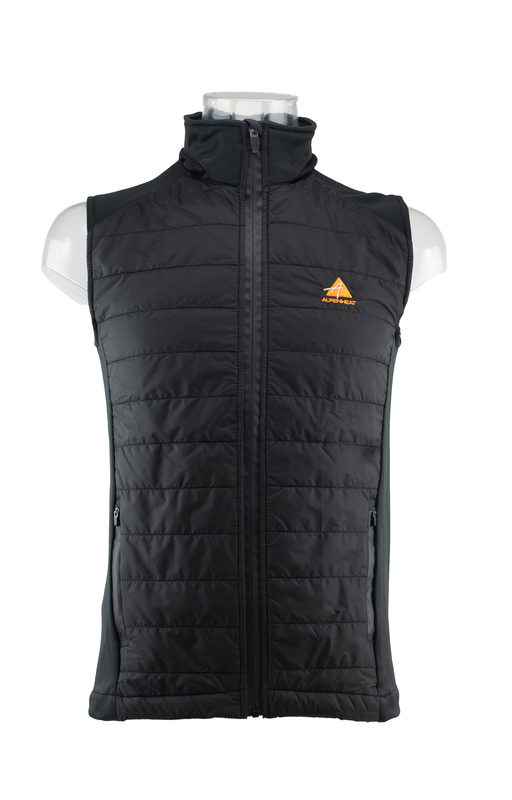 The front and back of the vest are quilted with a comfortable, soft, warm insulation material. It is light, temperature and moisture regulating and extremely breathable. 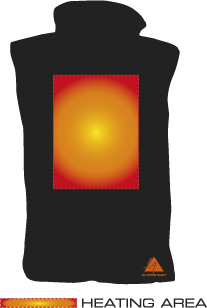 The sides of the vest are made of stretch polyester, thus ensuring optimal freedom of movement. Extremely versatile, wear during any sporting activity or in everyday life, whether inside or outside, whenever you are feeling cold or chilly. 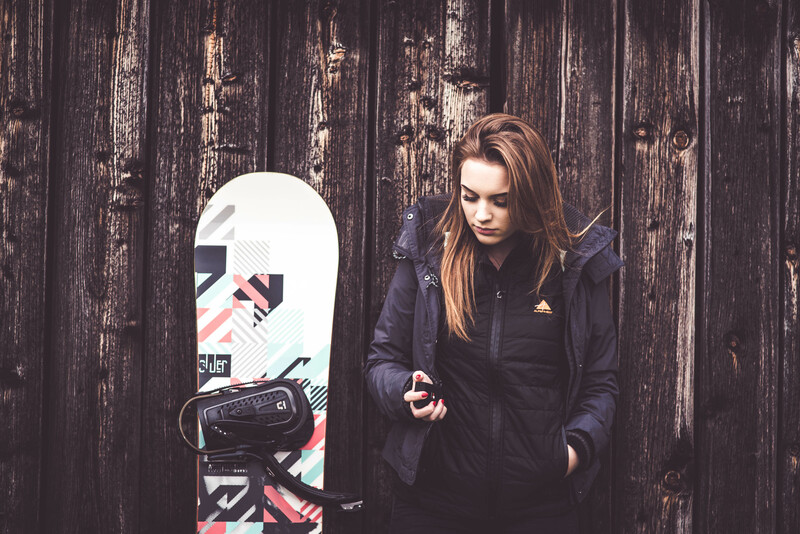 Use whilst skiing, snowboarding, hunting, fishing, horseback riding, playing golf, hiking, bicycling or as a spectator watching an ice-hockey game or football match or just taking the dog for a walk. People sitting in wheelchairs especially benefit from the warmth of the vest.